I read this article and found it very interesting, thought it might be something for you. The article is called 25 Brazilian Foods You Must Try and is located at http://trip-n-travel.com/listicle/19411/. Brazil does have it all. One of the most captivating places in the world, Brazil is a nation of countless white-sand beaches, verdant rainforests, bustling metropolises, thundering waterfalls and diverse ecosystems. The music, the beaches, the amazing wildlife, the colorful flavors and above all the people: it’s almost impossible to come to Brazil and not fall for it. Larger cities like Rio de Janeiro and São Paulo keep you occupied the whole time with their charm, while the hearty cuisine of Brazil will have you in raptures. 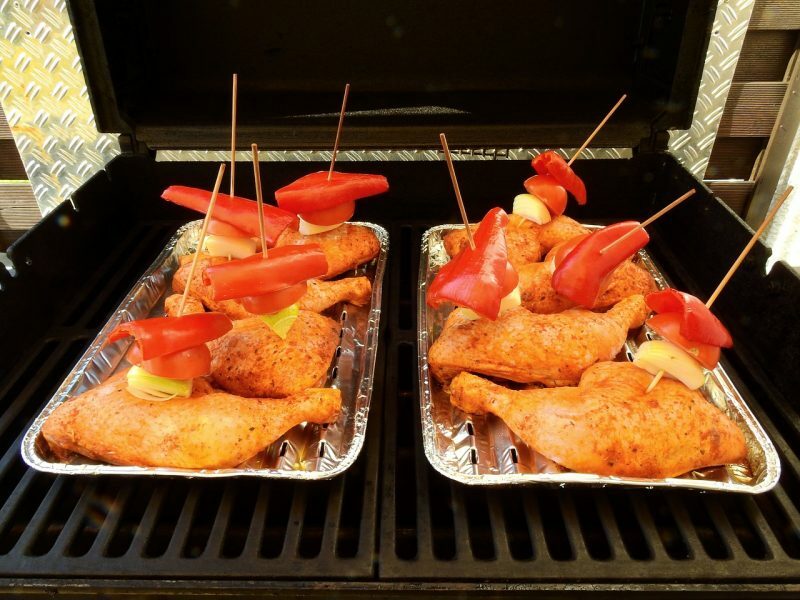 Brazil claims to be the barbecue capital of South America and while each has a different approach when it comes to barbecued meat, few things remain the same from the premium cut meats to the fine accompaniments. 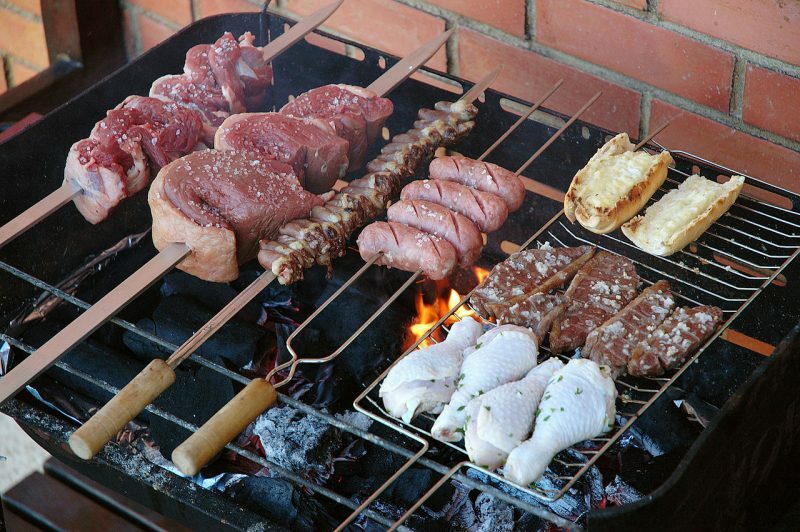 Barbecued meat was the traditional staple food of the Southern Brazil cowboys for centuries until it moved beyond its territories and reached to the palate of Rio de Janeiro. They are now served in many restaurants all over Brazil. A native of Amazon and one of the most celebrated dishes in Brazil, the Açaí bowl is a quick and easy-to-prepare breakfast staple loaded with nutrition and can be enjoyed anytime of the day. Acai is basically a fruit eaten by the locals to gain energy. In the Amazon region, it is served in small cups from carts and topped with granola or banana slices, yogurts, and ice-cream to create a blend of refreshing smoothie. 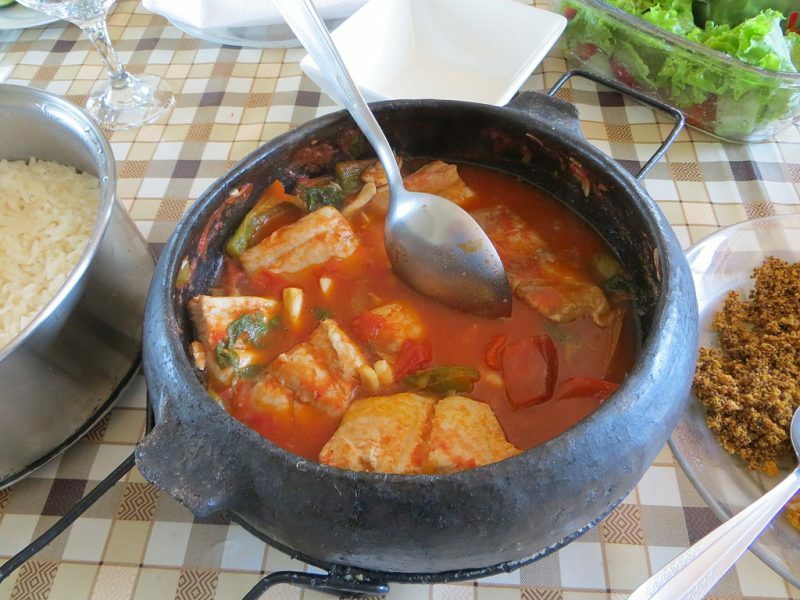 A popular fish stew served with a wonderful flourish as the hot clay pot takes the center place amidst clouds of aromatic steam. This Brazilian dish may contain a few unfamiliar ingredients but commonly made with all kinds of seafood, tomatoes, onions, garlic, cilantro, palm oil and coconut milk. As exotic as it sounds, it tastes equally delicious. 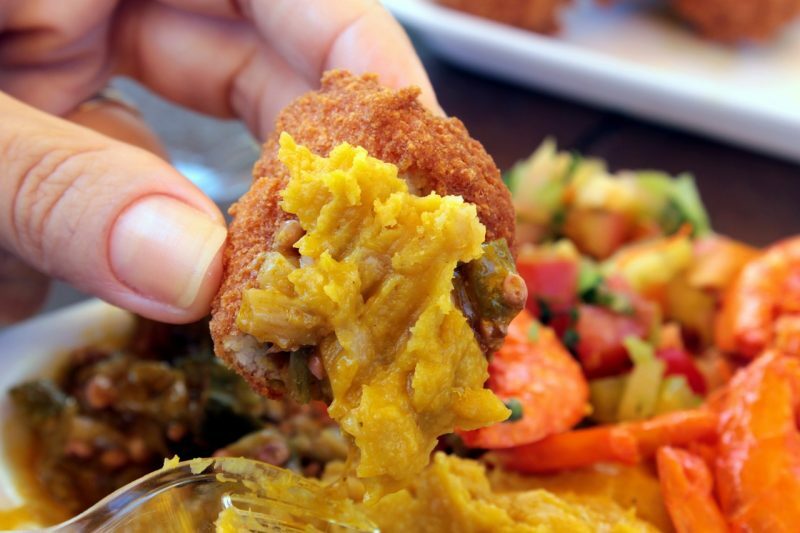 A traditional street food in Brazil and a popular beach snack typical of the state of Bahia, Acaraje is the Brazilian-style falafel packed with a great source of fiber. 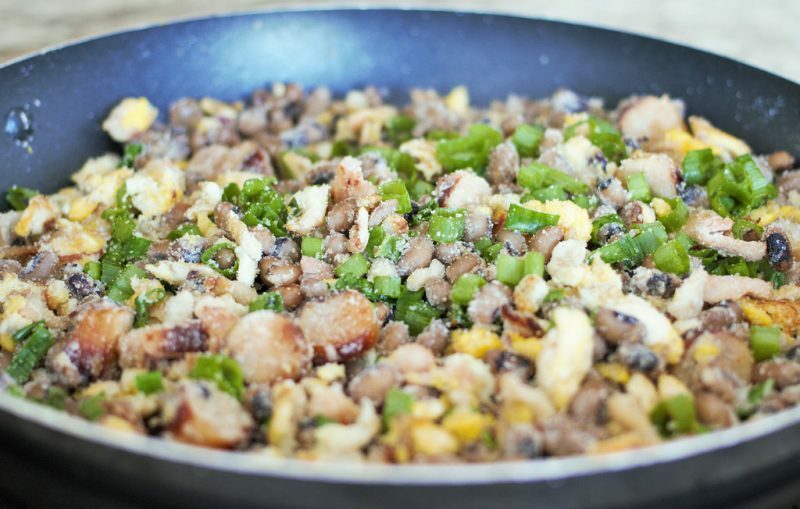 These ball-shaped delicacies made from peeled black-eyed peas are a perfect mixture of Brazilian and African cooking and exotic flavors. The balls of bean goodness are a vegetarian delight and can be made instantly. Bauru is a popular Brazilian sandwich, often compared to the classic American BLT. 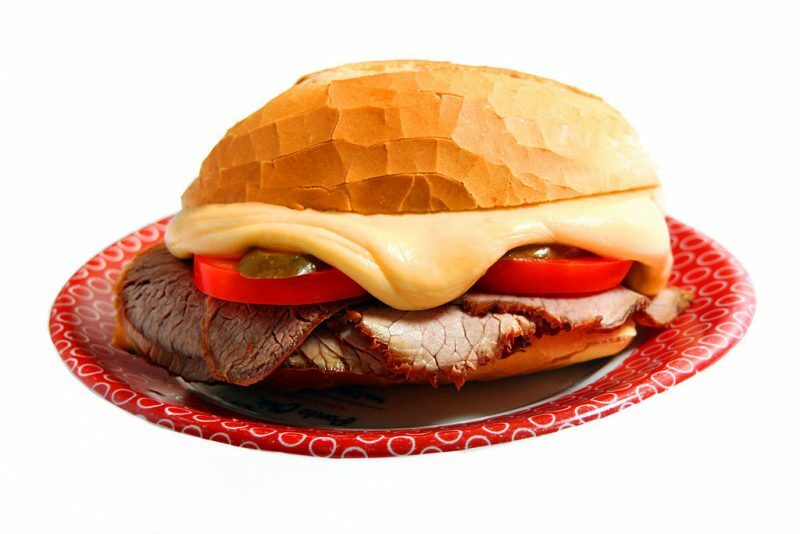 This traditional delicacy calls for cheese (mostly mozzarella) melted in slices of roast beef, tomato and pickled cucumber in a French bun. Simple and easy to prepare, this Brazilian sandwich is nothing out of the ordinary but tastes unbelievably delicious. 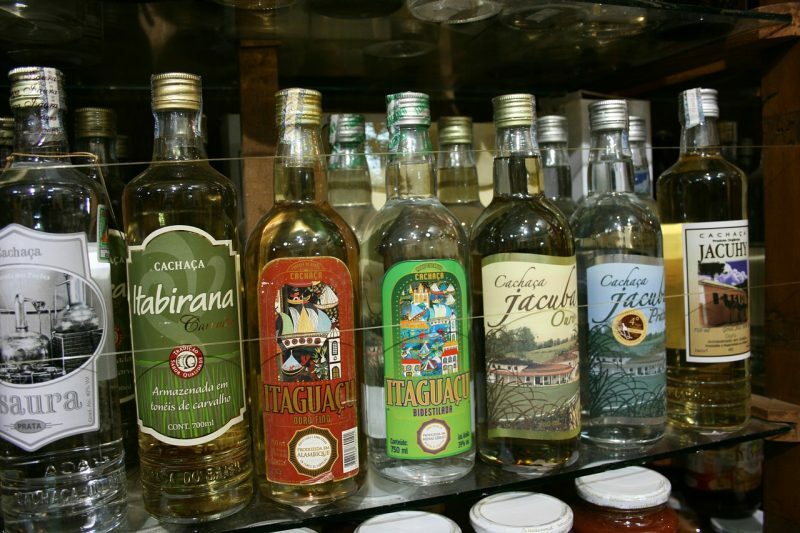 Often goes by names like caninha, pinga de tuto, aguardente among others, Cachaca is the most popular alcoholic beverage in Brazil, distilled throughout the country from small-scale distilleries to large industries. Cachaça is popularly known for its role in the Caipirinha, which is famed as the national cocktail of Brazil. One of the most popular Brazilian desserts and extremely scrumptious, Brigadeiro is more than just a mere chocolate fudge ball made of condensed milk, cocoa powder, and butter; it’s the Brazil’s answer to chocolate truffle and is mostly served at children’s birthday parties. This scrumptious and fun street food snack is a popular Brazilian delicacy consisting of chopped or shredded chicken meat, covered in smooth dough and molded into a shape resembling a chicken leg around a creamy filling, battered and fried. As simple as it takes to prepare this fine street food, more delicious it gets with the cheese toppings. 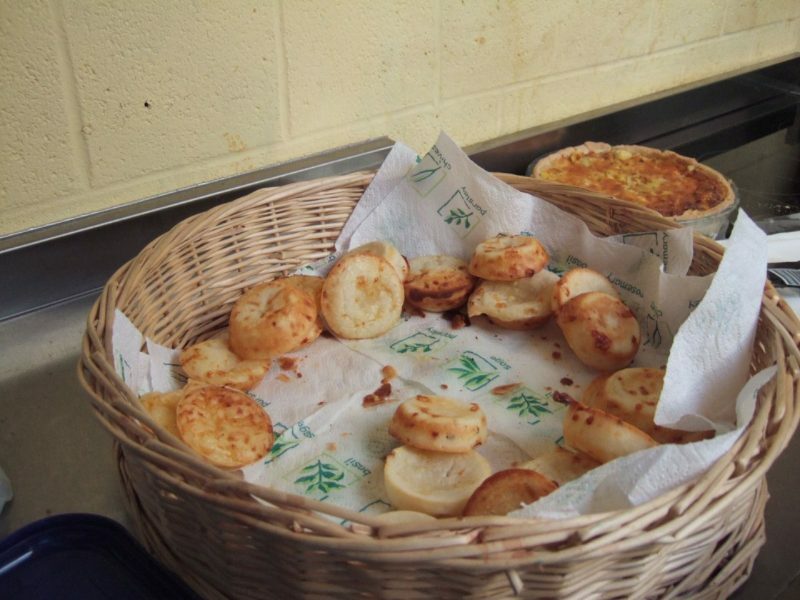 Pastel is a popular finger food, found in almost every corner of every street throughout Brazil. These crispy pastel pastries are beautifully stuffed with various assorted fillings such as cheese, meat, chicken, shrimp, and vegetables, and then deep fried in vegetable oil. This street food delicacy varies tremendously in quality and taste from location to location. This small, baked cheese-flavored roll, is enjoyed as much as a breakfast food as it is at any time of the day. Two staple favorites, cheese and bread come together in a delectable union in the delicious Pão de Queijo, which is also gluten free and loaded with gooey cheese. Quindim is one of the most appreciated and well savored Brazilian desserts made with eggs, butter, sugar, butter and coconut. Baked usually in cupcake-sized molds with a glistening surface, while the top is smooth, firm custard, this typical recipe is believed to be based on traditional Portuguese baked delicacies that make heavy use of the egg yolks. You cannot say a word against this fine delicacy while in Brazil. This is a traditional dish typical of the Minas Gerais region of Brazil, which literally translates to “Cattle Driver’s Beans” in English, and is a favorite bean meal in Brazil. 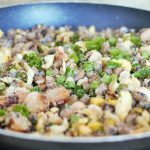 It makes use of several sources of protein along with the mandioca flour and a couple of vegetables, to make a fine dish that not only can be eaten as a side dish but also by itself. 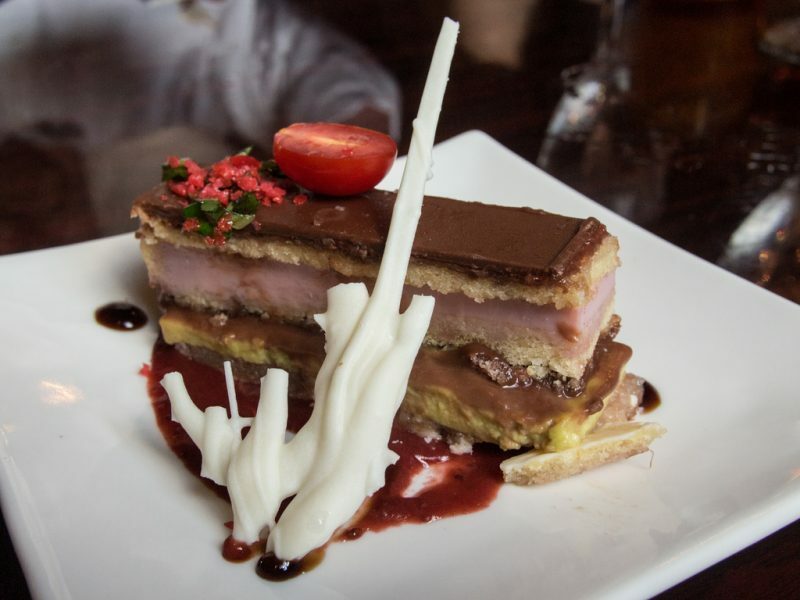 A wonderful page from the Shakespeare play comes alive in the form of a rich and popular Brazilian dessert which is as exotic and interesting as its name, “Romeu e Julieta”. Dates back to the colonial days in Brazil, this fine traditional delicacy is an exotic mixture of the sweetness of fruits and saltiness of the cheese. Even in its basic form, this is one of the most traditional desserts in the Brazilian culinary culture. If Brazil were to place its bet on its national dessert, this passion fruit mousse would definitely make the top spot. 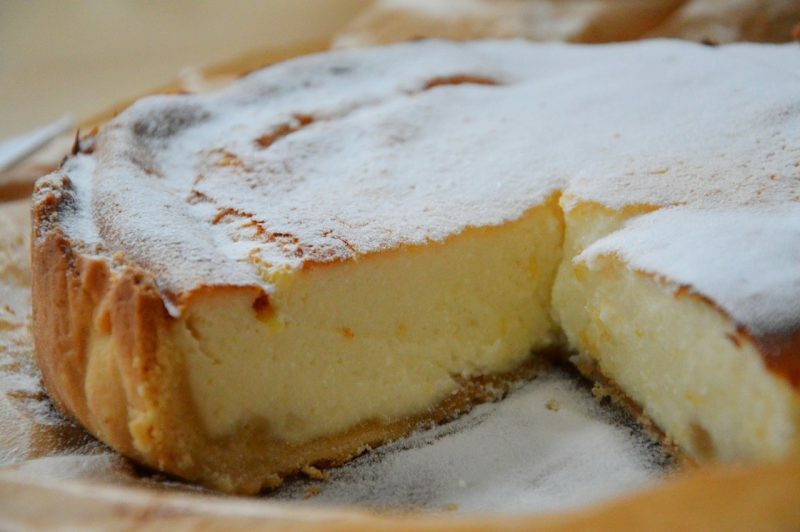 Definitely a Brazilian’s favorite and an ideal family recipe which takes no cooking at all, this little tart is a little tangy for those who don’t like their desserts to be too sweet and creamy. Fresh passion has a unique flavor with a strange pulpy center. These fluffy little balls of glorious fried dough and sprinkled with sugar and cinnamon, are a signature dessert in Brazil, which literally mean rain cakes. These delicious dumplings are equally popular in Portugal dessert making. They make for a fine accompaniment to late afternoon coffee in Brazil, and several versions of this sugary treat is available all across Brazil. 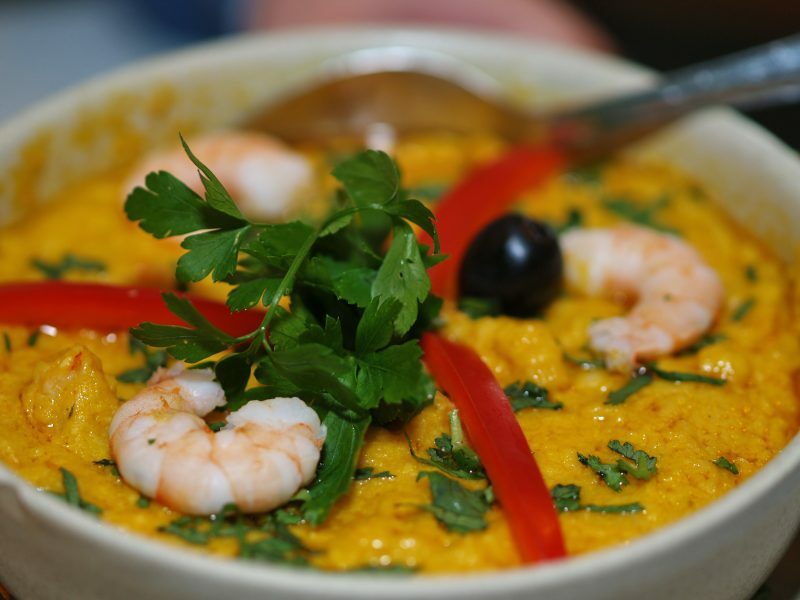 Brazilian shrimp stew, or commonly called as Vatapá, is one of the classic dishes of the Brazilian cuisine, which can be served as a main dish over rice or used as a filling in the popular acarajé. Vatapá is originally from the Northern region of Brazil, specifically from the state of Bahia, and is made with coconut milk, red palm oil, dried shrimp, bread, peanuts, herb, and ginger. A favorite breakfast dish among the Brazilians which is believed to have inherited from their indigenous ancestors, Tapioca Crêpes is a popular regional snack made from tapioca flour, sticky white flour used in street foods across Brazil. These unique yet delicious Brazilian-style crepes are filled with sweet or savory fillings or whatever you please. 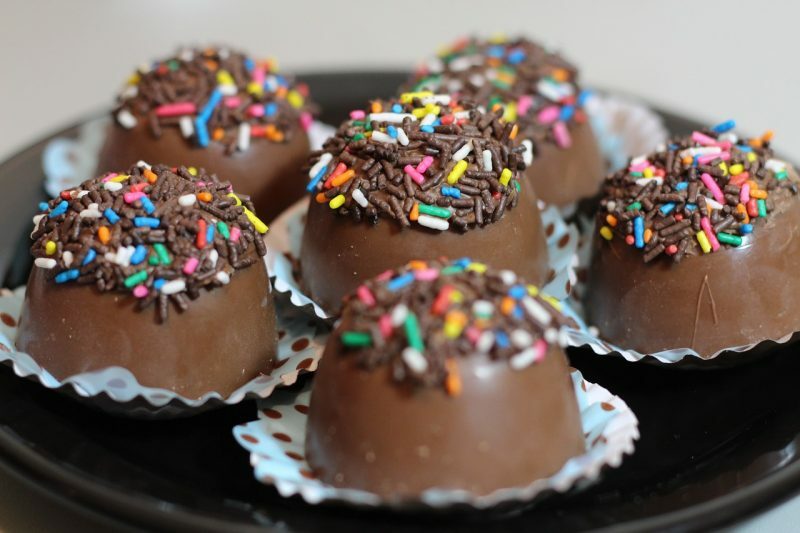 A famous birthday treat and the little cousin of the already popular brigadeiro, this sweet delight is absolutely delicious and the kids love it. Instead of chocolate, coconut is used in this favorite Brazilian recipe which is undoubtedly one of the most delightful desserts in the region. These Brazilian coconut balls are usually served on miniature paper liners. A typical Brazilian snack, Misto Quente is basically a grilled ham and cheese sandwich, deliciously coupled with crusty toasted buttered white bread. If it’s not heated, it’s called “Misto Frio”. This delicious sandwich is quite easy to make and usually features some gooey type of fromage, and eggs can be used occasionally into the mix for a delightful flavor. This is a popular Brazilian chicken pot pie, or Empadão de Frango, which has been passed down through generations. This comforting dish is quite different from a regular pot pie, with a buttery crust that will actually melt in your mouth and the creamy filling makes each bite full of all the goodness, eventually making this delicacy such a hit. These rice fritters seasoned with onions and parsley, moistened with milk and eggs, and deep fried into little balls, make a perfect snack or a side dish in Brazil. 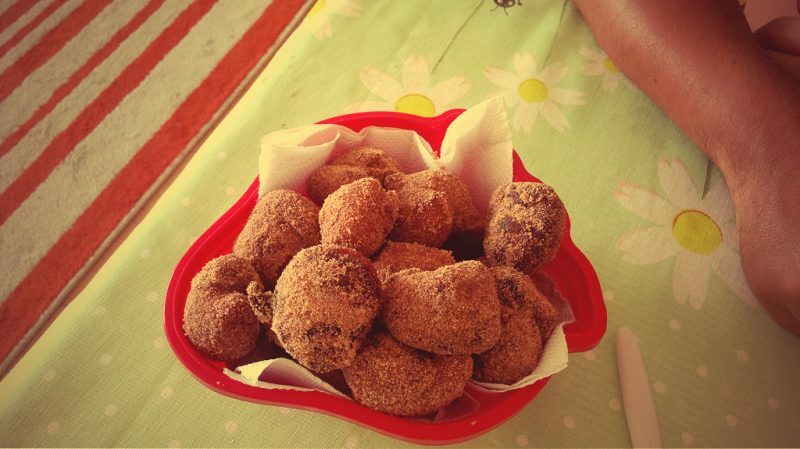 These rich and moreish rice balls are sold by food vendors in almost every street and corner throughout Brazil. Fillings may vary from shredded cheese to dried shrimp. A ricotta-like cheese spread used in bread, pizzas, crepes, pastels, casseroles among others, this Brazilian cream cheese is absolutely creamy with a consistency similar to that of condensed milk and is usually sold in glass jars or plastic cups. Its mild taste and creamy texture are what makes it quite different from its American counterpart. 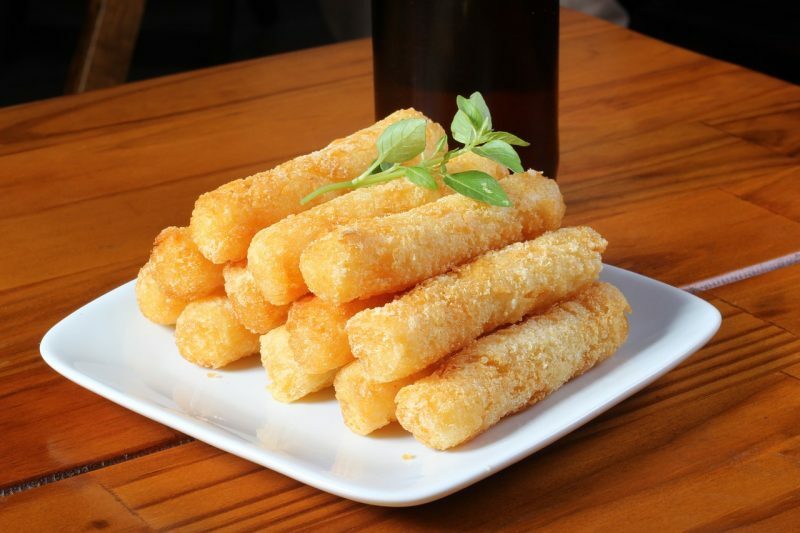 Fried Cassava, or Mandioca Frita, is the Brazilian version of French fries and makes for a perfect halftime snack. Cassava is one of the prime ingredients in Brazilian cuisine and has been a popular Brazilian Indians’ staple for centuries. These deep-fried cassava chips are simple to make but taste incredibly delicious. This is a traditional Brazilian chicken salad which combines shredded chicken breast with lime juice, apples, raisins, apples, olives and mayonnaise, and deliciously topped with shoestring potatoes. 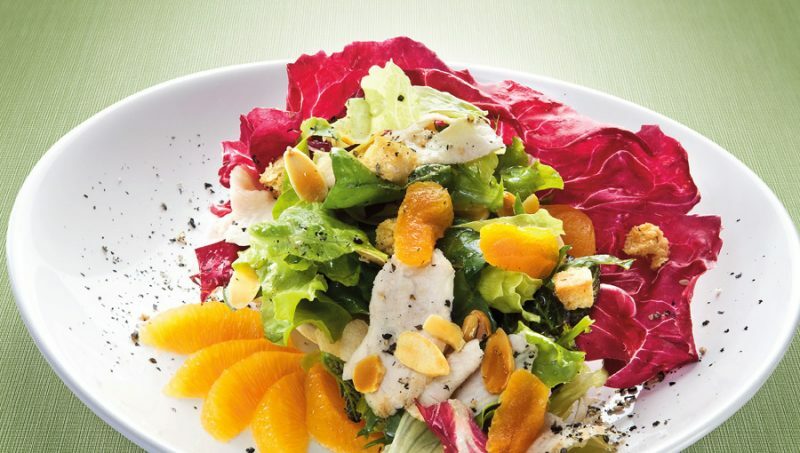 Salpicão is a wonderful rich flavored salad that will fill your hungry appetite any time of the day. Pavé is a popular Brazilian dessert that resembles a tiramisu, but tastes much better, and are usually made with a combination of cookies or biscuits and creams and fruits or chocolate. Unlike the tiramisu, the pave uses a slight hint of liquor without coffee. You can find different versions of pave all across Brazil, some of which are as sophisticated as the taste.